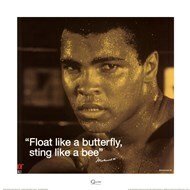 Muhammad Ali is known as “The World’s Greatest” for a reason. The man towered over his opponents while not being especially tall and overcame adversity despite the odds that were against him. 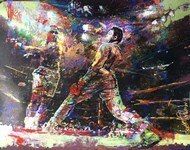 You now have the opportunity to bring a bit of Ali’s spirit into your home thanks to ChefDecor.com’s selection of posters, photographs, and art. His powerful stance and emotions are sure to ooze energy and liveliness. 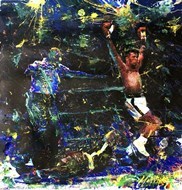 All Muhammad Ali prints can be custom framed, laminated, or transferred to a higher quality canvas. 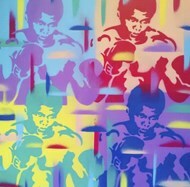 Be sure to shop Muhammad Ali posters and prints at ChefDecor.com today!